Category: Perfecting Tools for Fibers. 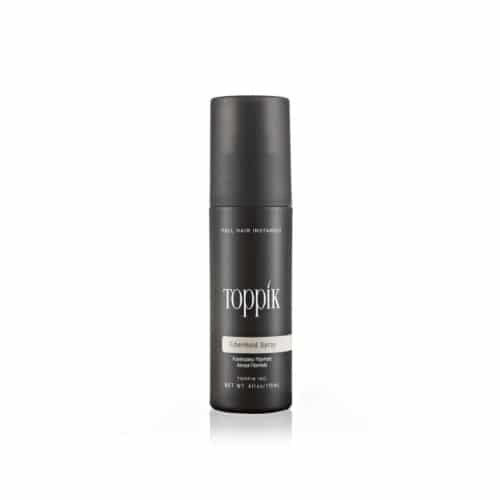 The Toppik Hairline Optimizer allows you to be able to use the Toppik Hair Fibers on your head and give yourself a completely natural appearing finish. The product stops stray fibres falling into places such as your clothing, neck, shoulders or facial region and allows you to precisely place all of the fibres on your head. 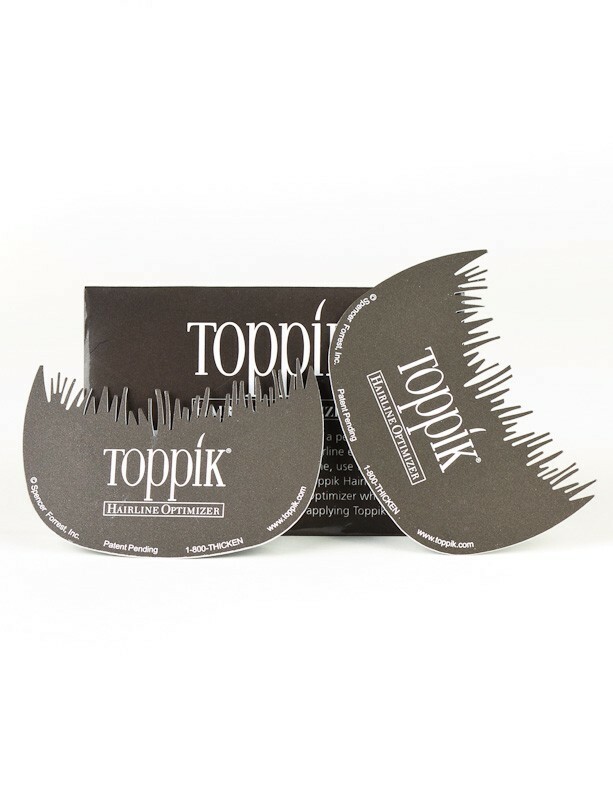 The top side of the Toppik Hairline Optimizer is shaped with a rougher edge to be able to ensure the Toppik fibres have a natural layout on the head and do not fall into a straight unnatural line. 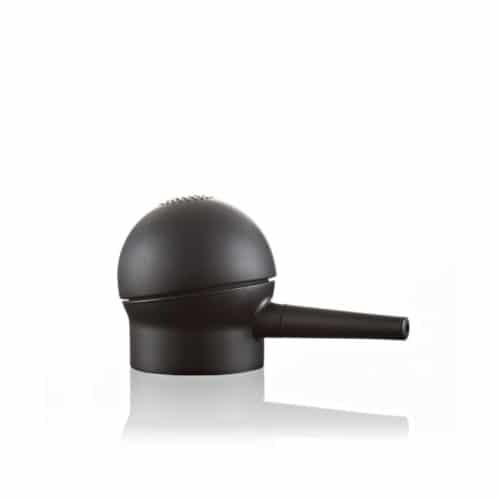 This in turn adds to the subtle and discreet nature of your Toppik Hair Fibres. This is an especially effective product for people suffering hairloss around the hairline or a receding hairline. The Toppik Hairline Optimiser is a really clever idea and is easy to use. The patented template causes the Toppik hair fibers to fall in a more natural looking pattern which replicates your natural hairline. By using the optimiser you will see a convincing, softer look across your front hairline. 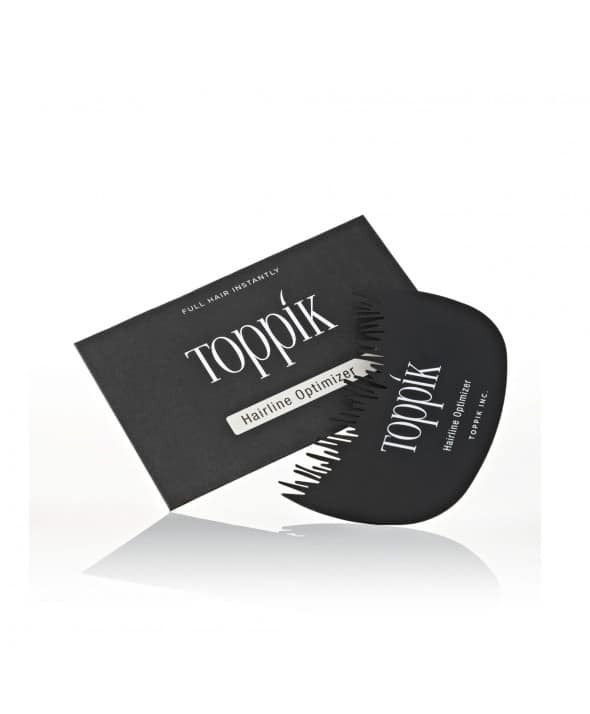 The Toppik Hairline Optimiser is a really clever idea and is easy to use. The patented template causes the Toppik hair fibers to fall in a more natural looking pattern which replicates your natural hairline. By using the optimiser you will see a convincing, softer look across your front hairline.